Epiphone Wilshire. 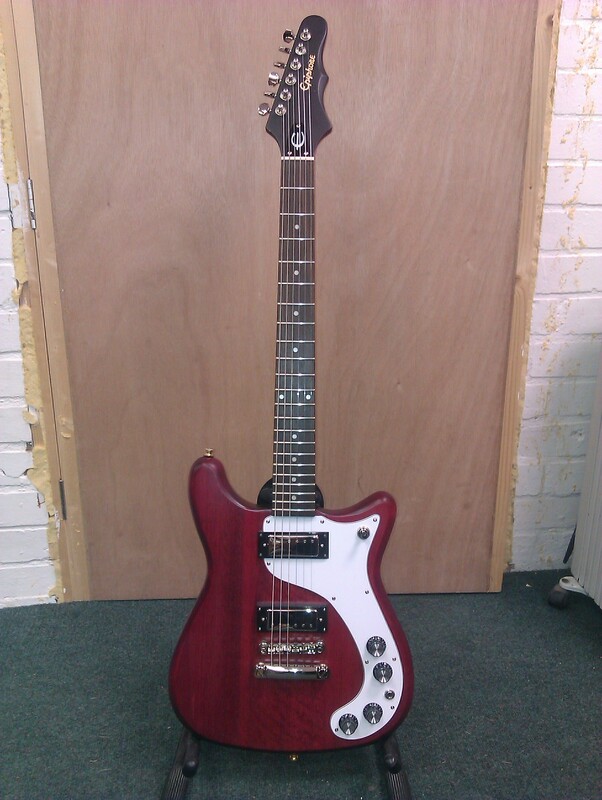 This version of the recently reissued Epiphone Wilshire benefits from being fitted with the mini humbucking pickups. These give the guitar a bit more bite than the models with the full sized humbuckers, making it sound a little less like a Gibson SG. Light weight and full access to the dusty add to the appeal.